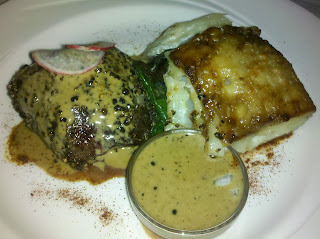 When I was asked last week if I would like to preview a Dine Downtown restaurant, I jumped at the chance. Starting tomorrow night, many downtown restaurants will be offering three course meals for $30. I'm happy to say that I've gone every year and the reviews from past years are linked below. When I look at the restaurants participating each year I look at their menus to check what they are serving. The first thing I look for is, do they offer a few selections or just two in each category? Then I stay away from the ones that offer your standard choice of beef, chicken, and pasta or fish. Boring unless they do something really different. Finally, I try to choose a restaurant that's new for me. There are so many restaurants and so little time. Besides, Dine Downtown serves two purposes: filling restaurants during the slower month of January and to hopefully entice new customers to come and try them. I asked if I could select The Broiler. They had four choices in each category, different than normal selections, and I hadn't been since they moved to their 12th and K location. In fact, I couldn't remember ever having gone. My ex-husband reminded me that we had been to the old location with BFF and her husband years ago. Really? So long ago I couldn't remember. Then I later found out that the move to the new location happened in 1999. Definitely a faded memory. We chatted a bit with our friendly server, Shelly, getting the history. For those who don't know Sacramento restaurant history, The Broiler has been a downtown fixture for over 50 years. Opening at 10th and J in 1950, it's been the site of political meetings, prom dates, and marriage proposals for decades. In 1999 it lost its lease and was moved to 12th and K. The owner's other venture was Gallagher's Bar in East Sac. They moved it next door so that the two are now across the lobby from each other. Now Gallagher's Irish Pub serves as the bar/lounge for the restaurant, meaning you will see servers hustling drinks across the lobby to the restaurant. You'll see old mixed with new as they moved The Broiler neon sign, chandeliers, and other fixtures to the new location. Although I had arranged it with the Downtown Partnership I still caught the restaurant by surprise. They thought I was coming on Thursday, not Wednesday, and didn't have everything ready for their DD menu. After a visit from the owner, Larry, and Chef Khien, it was determined they just didn't have two items, the duck and the pecan pie. We were OK to work around that. I was happy with my first impression - bread. We received warm, crusty-yet-soft pieces of white and wheat bread. 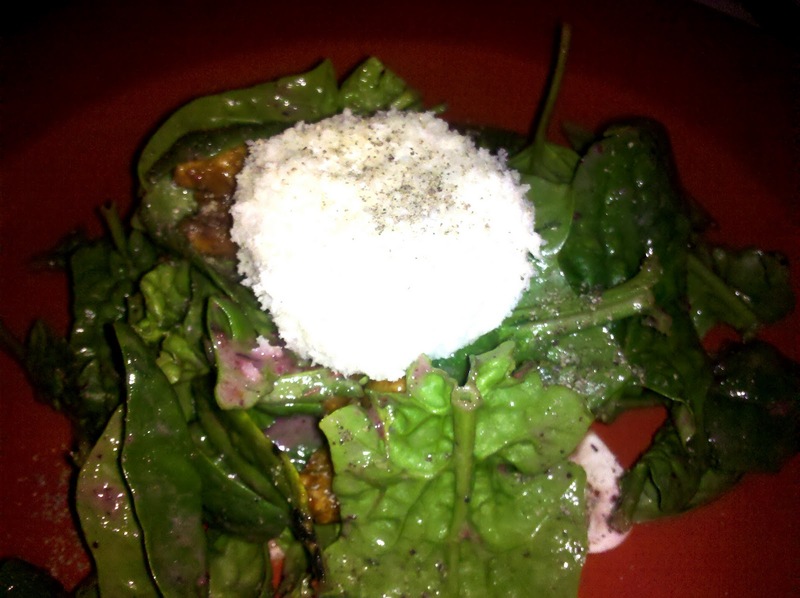 We then started with the spinach salad with goat cheese, candied walnuts, bacon and cranberry balsamic vinaigrette. The goat cheese was generous, the candied walnuts large and crunchy, balanced with the salty bacon and the sweetness of the dressing. I only wished that there had been a few dried cranberries as well for the tangy sweet bite. 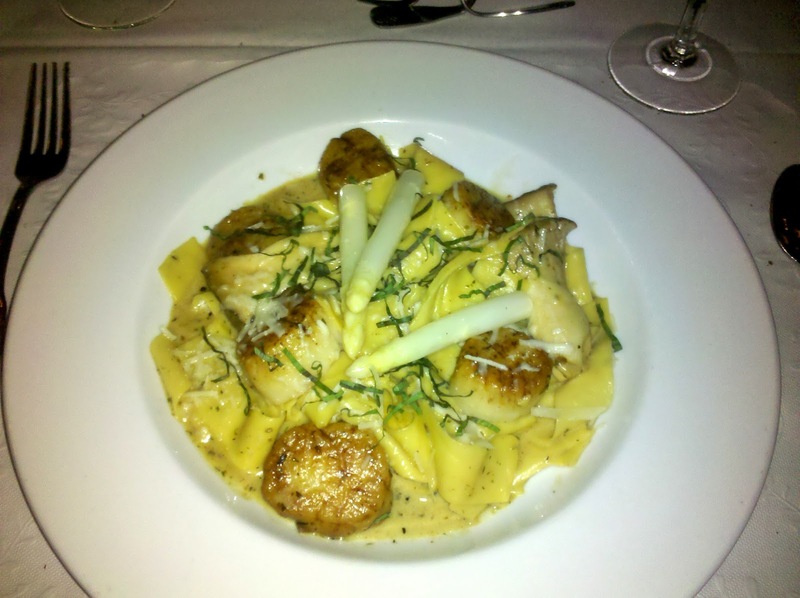 My date chose the filet mignon while I went for the 'different' with the sea scallops and papardelle in a blood orange butter sauce. The filet was a nice piece of meat, coated with cracked pepper and cooked to a lovely medium rare. We got a regular potato au gratin but the DD version will have a sweet potato gratin. The saltiness of the sauteed chard worked well with the meat and potatoes. My dish had six large scallops cooked perfectly tender. On top were crisp white asparagus. The sauce was bright and light and there was plenty of it. Many know that I hate when places scrimp on the sauce. 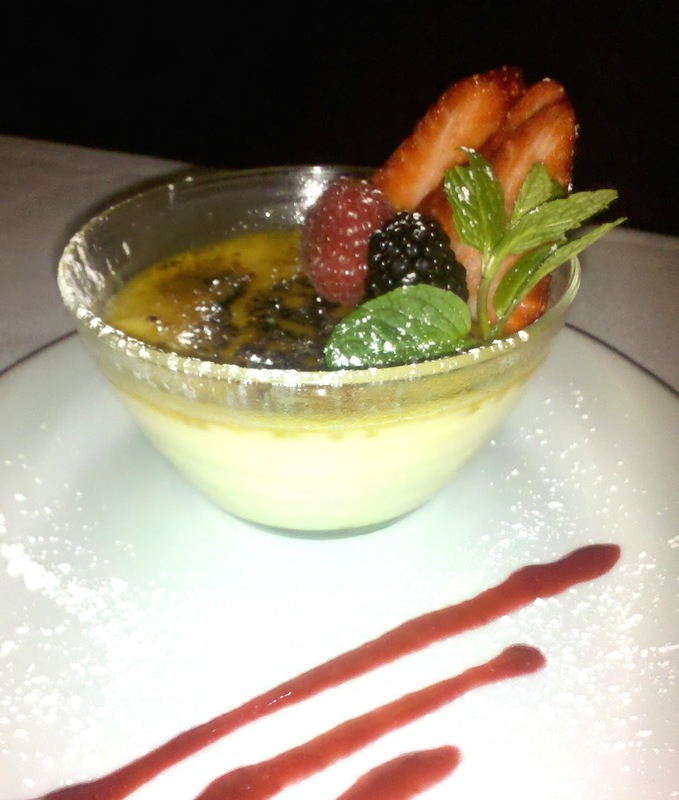 For dessert we ordered the creme brulee and the mixed berry parfait. 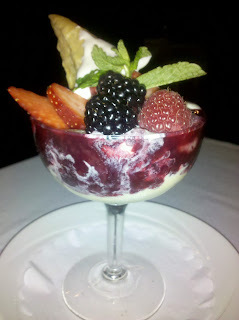 Although the creme brulee was delicious and normally my first choice, I had to go with the 'something different' berry parfait. Both appeared with beautiful presentations. Dine Downtown runs from January 7 through 16th. Reservations are highly recommended. Click the link to see list of restaurants and their menus. Disclosure: Our meal at The Broiler was complimentary.